Former students and faculty, supportive community members, and industry leaders met up at this fun and inspiring dinner event at the Grand Traverse Resort & Spa. It was a night to celebrate the program milestones and people who've made NMC Aviation the premier program it is today! 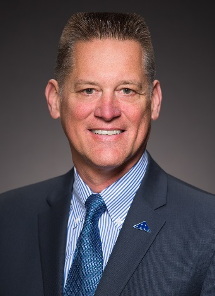 Keynote speaker Brian Bishop, retired Major General from the United States Air Force now one of NMC’s esteemed flight instructors since 2015.